Famous sourdough, seafood just off the wharf, local favorite ice cream, touristy chocolatier, hole-in-the-wall truffles, legit Italian tiramisu, award-winning gnocchi, homemade panna cotta, best pizza in San Francisco, and a drink called the Laughing Buddha. Sounds like a long week of partying and going out to eat, but for us, it was just another day in SF. All that food in one day – it’s a good thing we walked to just about all of our destinations and got some exercise. What I enjoyed most about the day was its balance of tourist hot spots and local hidden favorites — and of course, eating our way through San Francisco! If you’re up for walking and public transit, a good way to spend one day of a trip to SF would be combining Fisherman’s Wharf, Ghirardelli Square, and North Beach. Unless our game plan is too gluttonous for you to handle in one day, in which case please feel free to split it among multiple days! 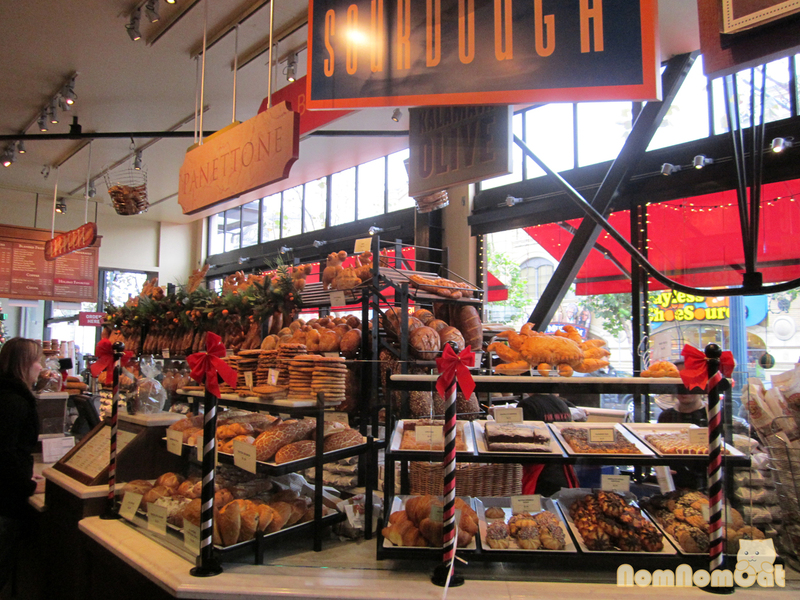 The magnificent bread display at Boudin! Read more (much more!) about our food-filled day in SF!